I’ve been following Like a Country Song for awhile, but today was the first time I got to actually watch it. I liked it. Nashville has become a happening place to make faith-based movies, and Like a Country Song takes advantage of the beautiful locations, incredible music, and awesome talent that’s abundant in Middle Tennessee. Like a Country Song is about Jake Reeson, an up and coming country singer whose ego is keeping him from reaching his full potential. It’s really an ensemble cast, though, with each of the leads struggling with their own issues and each needing the forgiveness and understanding of the others in order to find peace. It’s a little gritty and shows flawed people who still struggle even after they’ve found God. With the exception of a few weak spots, the acting is well done, very believable. The cinematography is good as is the production design. One thing that really stood out to me, though, is an aspect that is generallly overlooked with Christian movies. And that is wardrobe. Dusty Wilson did a great job of capturing a very stylized look for the actors including some fun touches. I loved the beautiful western style tops that Becca wears. I also loved all the handcrafted cross jewelry worn by the women. 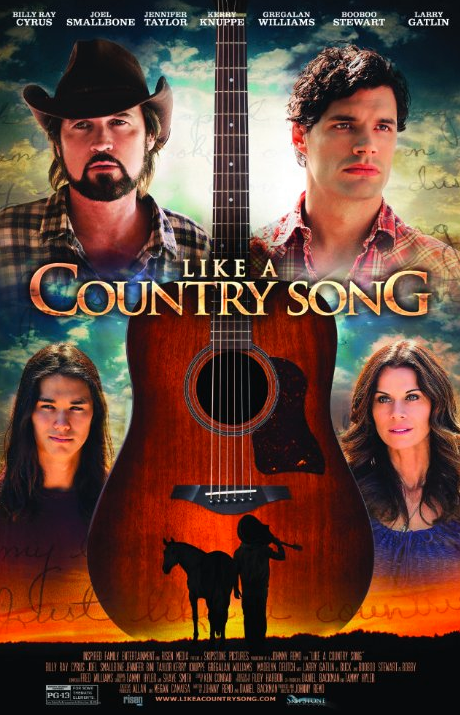 Like a Country Song is a captivating look at real people struggling wtih real issues. It’s an enjoyable movie to watch and listen to.